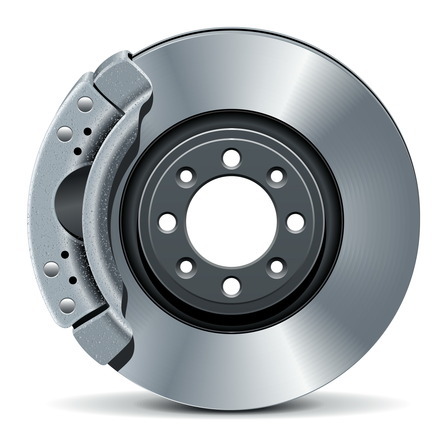 Brakes are an essential part of any vehicle– once you get going, everyone needs a way to stop! Direct, manual brakes are almost extinct in this modern world, as we have discovered and implemented much safer, more reliable braking systems for vehicles of all shapes and sizes. Whether you are in stop-and-go traffic or negotiating winding, mountain roads, Park Muffler is here to ensure your brakes will work when it counts. Read on for our guide to when you should replace your vehicle’s brakes. If you step on your brakes and your vehicle lurches to one side or another, it may be time to replace or refinish your brakes. Poor installation or long-term use can cause uneven wear on your brake pads, rotors or drums– causing a vehicle to favour or pull towards one side when they are applied. Always inspect your brakes before driving or at least on a regular basis. Becoming familiar with what a functioning, safe brake assembly will help you diagnose problems as they happen. Look for any visible ruts or uneven wear on the rotor or drum specifically, as well as thin, damaged or worn out brake pads. These are sure-fire signs that your brakes are in need of servicing. Good brakes should make next to noise at all. Make note of any strange or out-of-place sounds originating from the brake assembly area. Screeching, grinding, clicking and other noises could all be signals of faulty or worn brakes. Most manufacturers build-in indicators that create specific sounds when it is almost time to service the brakes. If the brake pedal pulses or vibrates when applied, it is almost certain that you need a brake inspection– and likely a replacement as well. These sensations are typical symptoms of worn, warped brake pads or a malfunctioning brake system. Don’t be confused with an Anti-lock Brake System (ABS) pulsating when braking on slippery or icy surfaces. The easiest, but most dangerous way to learn your brakes need service is by monitoring their performance when in-use. Since you need to stop your vehicle when you hit the brakes, it might be a bad time to realize your brakes don’t work! Always test your brakes before driving any distance and bring your vehicle in for service immediately if your brakes feel spongy, soft or like they are letting go after a few seconds. There are few systems in a vehicle as important as well-maintained brakes, so don’t take chances with your vehicle or the safety of its occupants! Contact or visit Park Muffler today for full-service brake inspection, replacement and refinishing.